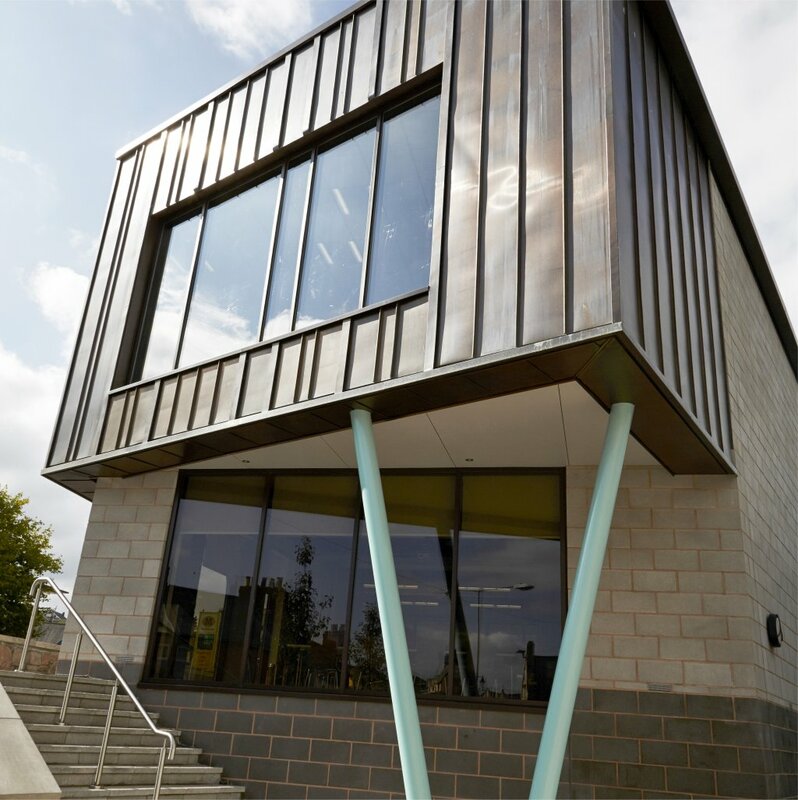 John McCall Architects has unveiled its environmentally friendly Youth Enterprise Centre and college facility to help youngsters achieve their potential. 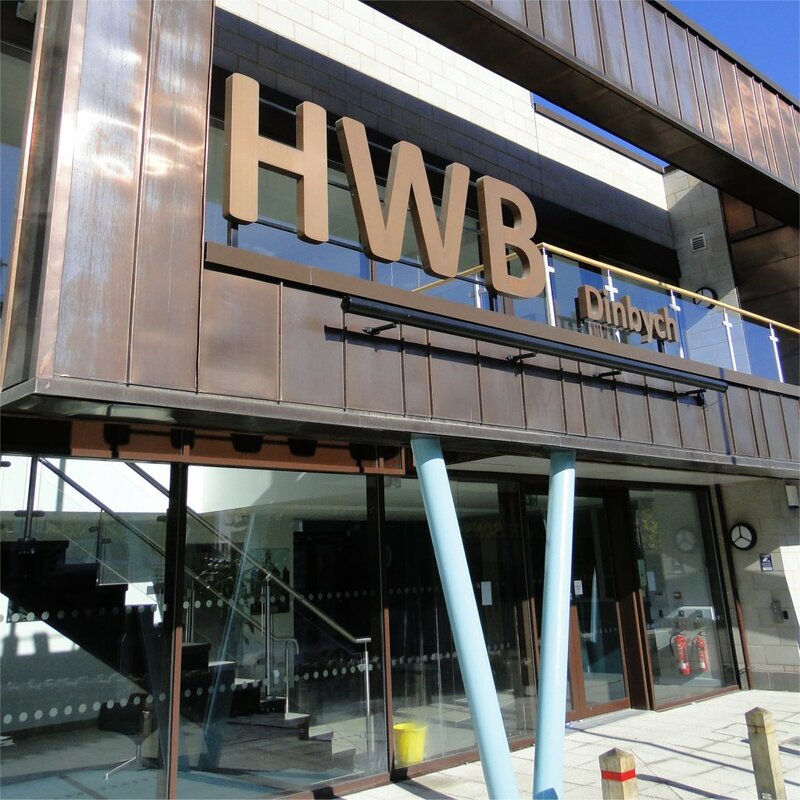 The £2.2m project in Denbigh, north Wales creates a hub in the heart of the town that will support young people in learning, skills development and securing work. The redevelopment of the key gateway brownfield site on the outskirts of a housing estate was created for social landlord Grŵp Cynefin. An education space for Llandrillo College has been included to encourage and inspire people into further education. The Youth Enterprise Centre for 11 to 25-year-olds will provide vocational skills, access to business advice services, formal and informal learning facilities along with a gateway to other youth services such as counselling and mentoring support. The building has six on-site self-contained apartments as part of a supported housing project with staff sleep over accommodation. John McCall Architects’ designs focus on openness, visibility and inviting accessibility from the street to encourage visitors. It has been created to give youngsters a sense of ownership by adapting to different users’ needs and extending links to local businesses, training and support services while fostering relations between the young people’s centre and housing services. The scheme has sustainable measures at its heart. Recyclable materials were used throughout the build process while solar power, grey water recycling, high levels of insulation, LED lighting and energy efficient mechanical and electrical services were installed. Concrete external areas were replaced with vegetation and trees to support wildlife. High levels of natural daylight flood the building through sun-pipes to create an uplifting atmosphere. The centre is aiming to recycle 100% of waste in line with the Welsh Government’s targets. 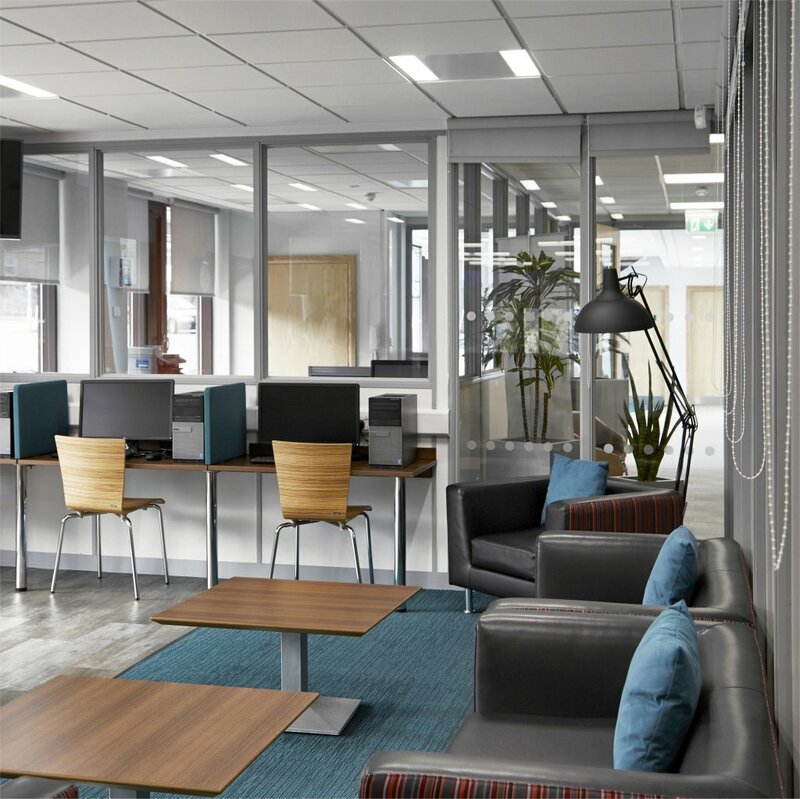 It has achieved an ‘excellent’ BREEAM rating for energy use and ‘very good’ for the overall scheme. Julien Denis at John McCall Architects, said: “The centre provides really important support services for youngsters who need further help in a variety of aspects of their lives. “In compositional terms, the scheme’s design has two main masses: the copper-clad volume of the Youth Enterprise Centre and college and the concrete faced volume of the supported housing block. 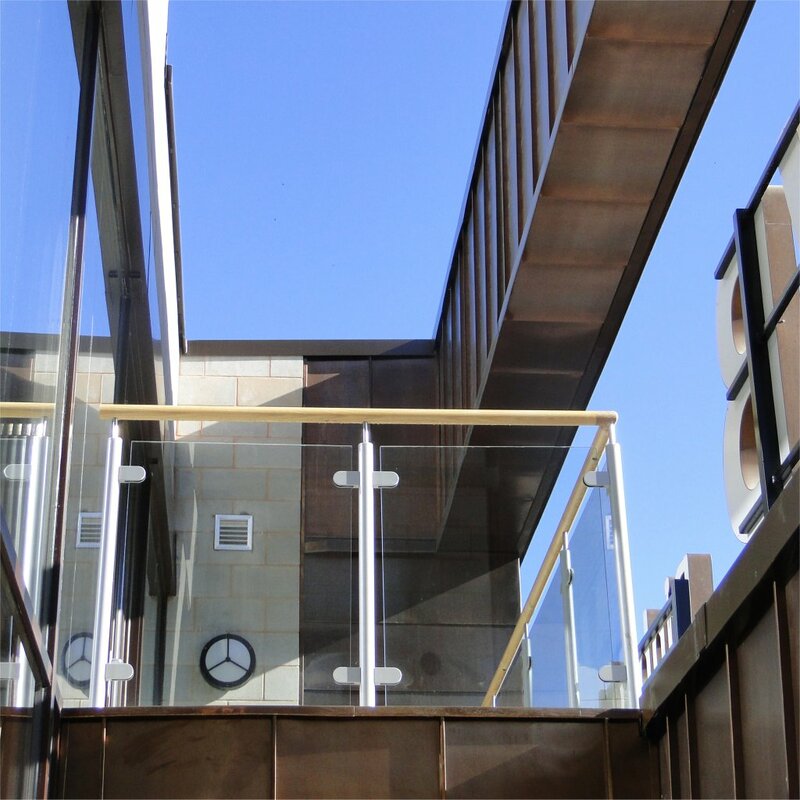 “The main entrance of the scheme is through a glazed atrium which links the two parts across a double-height reception space. The scheme was financed by a People and Places grant from the Big Lottery Fund and funding from organisations including Denbighshire County Council and the Welsh Government.